Behold, Christmas related posts left, right and centre! First of all, #sorrynotsorry. Second of all, less than 45 days till the most magic night of the year. Am I the only one super excited? Being the Christmas lover that I am, I cannot wait to unleash some serious Christmassy related posts I have lined up for you all. But today I thought I’d start off easy, warming up to the big ones yet to come. I love celebrating the true meaning of Christmas, having quality and bonding family time, being off work, and obviously, the whole eating involved (fun fact: we Brazilians eat non-stop from the 24th until the 26th). I love that part so much that things become a whole lot easier when I am in big jumpers, comfy pjs and generally warm and stretchy clothing. This year, I am lucky enough to have booked more than 2 weeks off work so endless couch time, constant stuffing my face and movie marathons are amongst the things I have planned. Thus it seemed only fair to put together a wishlist for some of the things I really want to get my hands on to make this Christmas the most comfy read fatty ever. In style of course, after all I am fashion blogger and what better time to dress up in all sorts of colours and fun prints than Christmas! Admittedly, I have already started Christmas shopping (and yes it mostly involves Disney items) but one cannot simply have too many cute jumpers. These items are all super affordable, ie. perfect for me and my bank account. Now Christmas just needs to hurry up and get here already. What is on your wishlist this Christmas? Let me know below! nice choice. I like the 5th sweater most. Shush! I have yet to start my Christmas shopping! LOL! Ohmygoddd, those christmas jumpers look very festive and super cosy! My wish list is mainly clothes, cosmetics and perfumes - pretty much the usual! Hehe x. What great finds! I am so in love with all of these Christmasy posts popping up in the blogging world! 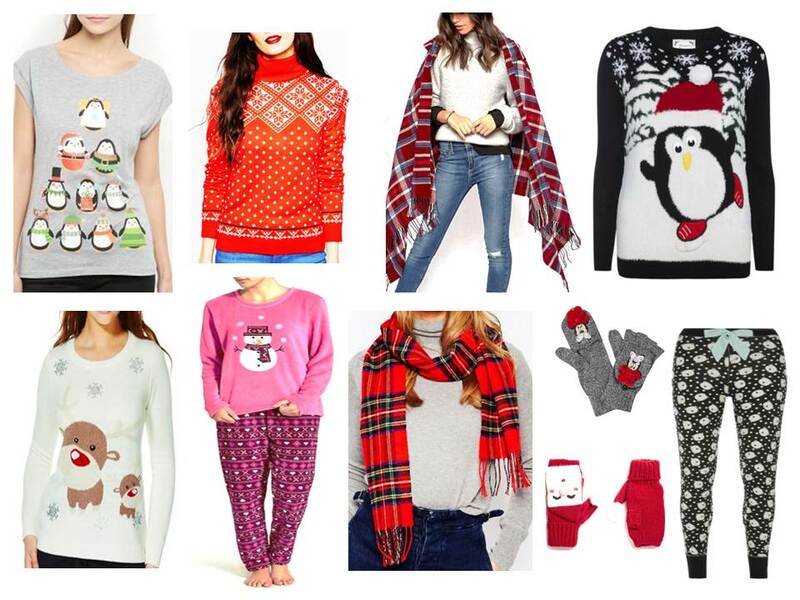 Haha cute wishlist :) I love xmas jumpers! These are so cute!! I love xmas anything! Can't wait for Christmas!!!! Okay, having said that, you Xmas wishlist is beyond adorable, and the tartan blanket wrap is actually quite chic! It's never too early to start Christmas shopping haha! I'm always tempted to get seasonal clothes, but then I never do because I feel like you can only wear them up until Xmas, then afterwards it can be a little weird. I'm hoping to find a pair of OTK boots this year! Such great picks love that red sweater specially so cute. Ohhh those sweater are so cute. I love your picks! Especially the red sweater in the top row. I'm excited to go back to Ohio so I can get all cozy with coats and scarves for a week! Oh, I love all these picks! Great picks Pam! My wish-list is also full of cosy clothes. There's also lots of woolly coats, jumpers and pjs. That I can lounger around in all day lol. Ohhh these look so warm and comfy :) I'm super excited for Christmas too !! During Christmas time I basically live in sweaters, they're just so comfy and really festive! Absolutely love cosy jumpers during Christmas time, actually the whole of autumn and winter. I love the red tartan scarf! Oh how I love christmas sweaters!! :D So excited!! Love that penguin one and the orangish/reddish turtleneck! Yay! Love all the Christmas themed sweaters! Thanks for commenting on Qing's Style. Please always keep in touch! These are so cute!!! Love your choices! I love them gloves; how adorable! Might have to get myself a pair for bike riding! And the scarf, I bought one of those recently, love them. Wow, wonderful picks. Those Christmas jumpers looks very cozy and festive. That leggings is also adorable! I love all stuff that you pick! So wonderful for christmas wishlisht I love your blog, so much inspiration .. you also see unique and stylish Men’s Shirts in Pakistan .